We are capable of large site clearing, cleanups, electronic waste, and so much more from beginning to end. With more than 30 years in the recycling industry, gaining knowledge and creating outstanding partnerships we are able to provide the best services and pay the highest rates. TLF Metals SA PTY LTD is a scrap metal dealer in Midrand.  TLF Metals SA PTY LTD are Dealers and buyers of Ferrous and Non-Ferrous metals, including copper, brass, aluminium and stainless steel. TLF Metals SA PTY LTD was established in 2001 and is based in Midrand, Gauteng. All metals are weighed on our premises via SABS and SANAS approved weighbridge and scales. Our scrap yard is well equipped for dealing in large and small quantities of ferrous and non-ferrous scrap metals. Copyright © 2018 TLF Metals SA PTY LTD. All Rights Reserved.